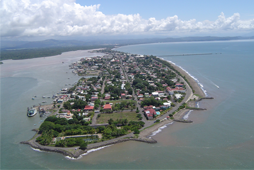 Remarkes about Costa Rica Yacht Club, S.A.
We had a great time with wonderful service. You have all Been very kind and helpful . If we pass this way agan we will For surf stop and see you all. Thank you very much for the gracious hospitality. A very secure moorage and beautiful setting of the restaurant . We woult be delighted to return when we pass this way again. Wonderful hospitality and asístanse. A good Club to visit. A wonderful facilily for Work y storage . Greet people working here. Very helpful staff friendly professional , wonderful services available great location for access to town Carlos wants every. Thing to go wellfor his guests and he makes sure it does! Thant you we’ll tell our friends how great this is! A great stop, much better and much more friendly than advertised in the various cruising guides. Just about anything can be repaired … and it’s tough to singe Out the better trades, however, William (mechanic) excellend, as did Juan (Painter) and the “reeferguy” (goo bless him). And,Carlos was my pilot…ª What other marina do you get That kind of service. Excellent service , friendly staff great security. Facilities were well appreciated. Love Costa Rica!!! Carlos thanks for your services. The service security here is excellent, Carlos the crew have been very good craftsmen. We will recommend CRYC to anyone coming to Costa Rica! Thank you to all here, we will be back. We enjoyed our stay the facilities are excellent for cruisers, Shower, internet, fuel, restaurant laundry a swimming pool It is a very good value. We are sorry to leave the maneger Carlos is a very good value .We are sorry to leave. The manager Carlos is extraordinary in his efforts ti help us. We appreciale him very much.